The power of plant-based eating to reverse, treat, and prevent Type 2 diabetes is, at this point, well-documented. Everyone from the National Institutes of Health to Kaiser Permanente endorses a plant-based whole-food diet for its positive effects on Type 2 diabetes. Unfortunately, this is far from common knowledge. If you already know about the many health benefits of plant-based eating and want to educate a loved one living with diabetes (without seeming pushy or agenda-driven), you might be wondering which resources and evidence available are the most reliable. As someone in this position myself (my uncle and father have Type 2 diabetes, and I’ve been urging them to eventually try getting off insulin and medication with plant-based foods), I’ve found that videos are often the most effective form of communication, especially the ones below. Watch them yourself, if you haven’t already, and share them with those you’d like to protect. Mercy For Animals created this video, and it’s quite excellent, if I do say so myself (I had nothing to do with it). A collaboration with the amazing folks at Mastering Diabetes, the video is informative, unthreatening, well-sourced, and clear in its explanation of the link between Type 2 diabetes and food. If you’re sharing this with someone who is resistant to eating vegan foods for the sake of animals, rest assured that this video doesn’t make that argument; it’s simply a clear and credible presentation of the science. Dr. Michael Greger, who wrote the best-selling book How Not to Die and runs the incredibly useful site NutritionFacts.org, is an excellent authority to introduce this (or just about any ) health topic. His research is impeccably sourced, and his videos even show highlighted passages of the papers he cites to prove it. This relatively short video lays out the scientific evidence for treating and preventing Type 2 diabetes with plant-based eating. Dr. Neal Barnard is the leading researcher and proponent of treating Type 2 diabetes with plant-based foods. While his book on reversing diabetes is also an excellent gift, starting with this 18-minute TED Talk is probably the most approachable way to lay out the full scientific case. This eight-minute Mercy For Animals profile of Dr. Baxter Montgomery is another portrait of plant-based foods treating diabetes, as well as a host of other ailments. Send it to the person you think would relate to real-life patients and Dr. Montgomery’s authoritative but down-to-earth tone. 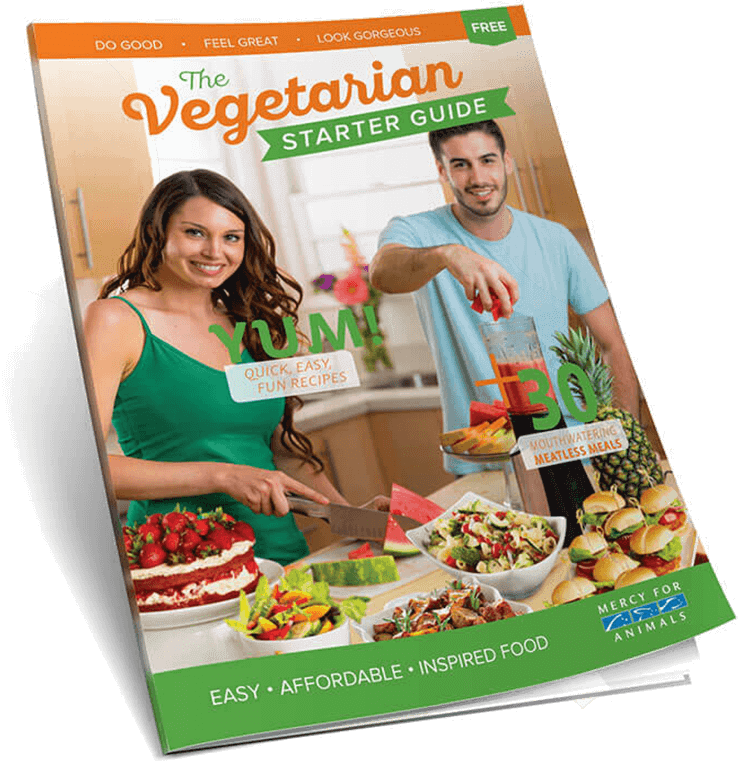 Finally, if you’ve managed to persuade your loved one to give plant-based eating a try, you’ll need to send them some resources. Start with Mercy For Animals’ new video series Vegan 101, and then point them right back here to ChooseVeg. Here they can receive personalized, on-demand meal-planning and nutritional advice for only $14 a month or $99 a year. The app Lighter is also an excellent resource for meal planning and plant-based nutrition. Subscriptions to a plant-based grocery-delivery service like Purple Carrot or a plant-based meal service like Veestro are also great ideas—and great gifts. Knowing how to follow up is equally important: This handy guide is filled with tips on further supporting a loved one beginning their plant-based journey.